Accidental Brilliance: Simple Wisdom of Buddha + Somethin' from Neil Young.. 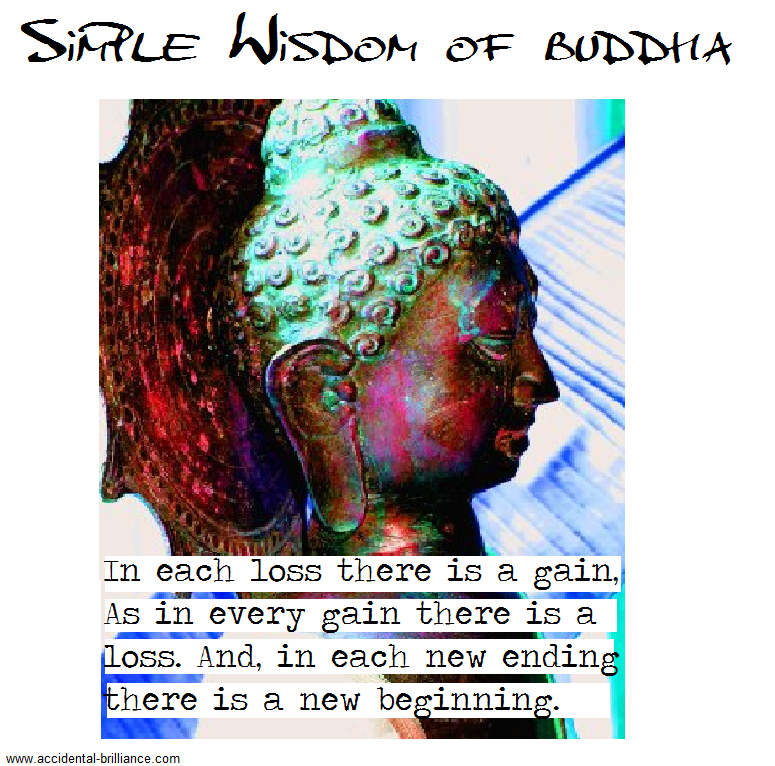 Simple Wisdom of Buddha + Somethin' from Neil Young.. There is an inevitability to endings- that is one might say, part of the beauty of life...when one thing ends something else shows up to fill its place. Things change, always trust that is ok. When you let things go that no longer fit, it is usually the case that what shows up in the form of a new beginning takes you farther along the road than you would have gone. Let things end that no longer work, let go of people who don't understand you or let you be yourself + try your hardest to always be open to the possibility in every new beginning that appears in your path. Hi! I like your blog and the way you share Buddha wisdom very much. I don't mind that you used my image - I agree with the sentiment totally - and appreciate that you gave me credit for it. However, I would also appreciate it if you could link your post back to my website, www.sharmondavidson.com. Namaste, and thank you.